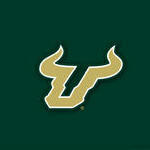 USF vs Tulsa - It’s Game Day Baby! It's doesn't appear mechanical with any of the guys (the guys mechanics and form)... but missing 11 of 22 free throws will lose you games more often than not against good teams. You can't rely on turning it on down the stretch free throw wise, teams will hack you early and before that little stretch at the end, we were shooting below 50% from the line for the game. You make them early, you don't have to rely on getting it together and making them late. No way to dress this up, free throw shooting played a big part in this loss. I'd say if we make free throws, we win. What's weird, though, in clutch times at the end of games, they're money from the line. Both losses, we didn't miss one in the final couple of minutes to keep close and in the wins, we weren't perfect in those last couple of minutes but when we really really needed makes, we got them. I think that supports what @Calibull is suggesting. There perhaps isn't the focus needed much of the game, or in practice. There are a lot of things this young team does well - defense, rebound, hustle, steals. Some coaches never waste practice time on FTs, these guys have got to make the gimmes. Must have the focus. The gimmes count the same early as in late. The practice we went to last year they have coaches watching all 8 baskets with a guy or 2 at each basket shooting FTs. They count to see how many in a row they make and they did it until a certain number was reached. Believe each guy took 2 and then the next guy moved in if there were 2 at a basket. While this team shows hustle and grit that escaped most USF team, the free throw shooting has been atrocious. Gregory needs to put the group through extra free throw shooting. Saw the same thing. Don't think this is that much on the coaching. There's only so much they can work on in the time allowed. I believe players have access to the Muma 24/7 .... Maybe a sports hypnotist, with a post hypnotic suggestion that every time they step to the ft line there's less than 2 minutes in the game. the players should be practicing this stuff on their own time--- you don't need a coach to practice free throws, though another player rebounding/passing it back helps. If hoops practices are as time restricted as they are with football, practice time needs to be about team drills and instruction. At some point, the players need to take responsibility for their own game and address fundamental weaknesses. I like the make up of the team and think they can improve through practicing on their own. A good combo would be to see the team’s free throw percentage through each quarter of the season. That will an indicator of if whatever they are doing is working.